Paris Saint-Germain football club wanted to produce a merchandising piece that they could sell in their official Parisian boutiques. The brief was to include a season fixtures calendar, stadium plans and mapping of Paris to locate their boutiques. Our double PopOut was the perfect format to choose as it allowed us to use our Paris mapping and have the three PSG stores plotted on with clear pointers while the second PopOut gave a handy transportation map. 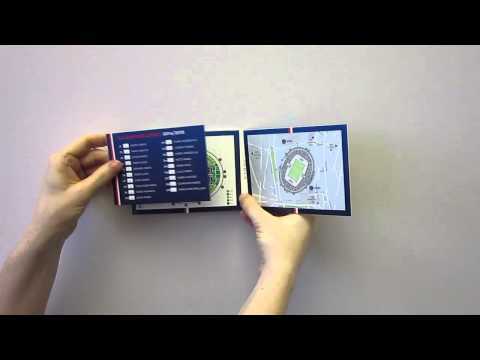 The season fixtures were placed on a removable card allowing supporters to fill in the score line and retain. PSG were happy that our PopOut ticked all their boxes. It made for a unique souvenir piece that fans and visitors could impulse purchase at the till point. The product continues to sell well in store and online. Choose your PopOut, a natural choice to engage your customers.